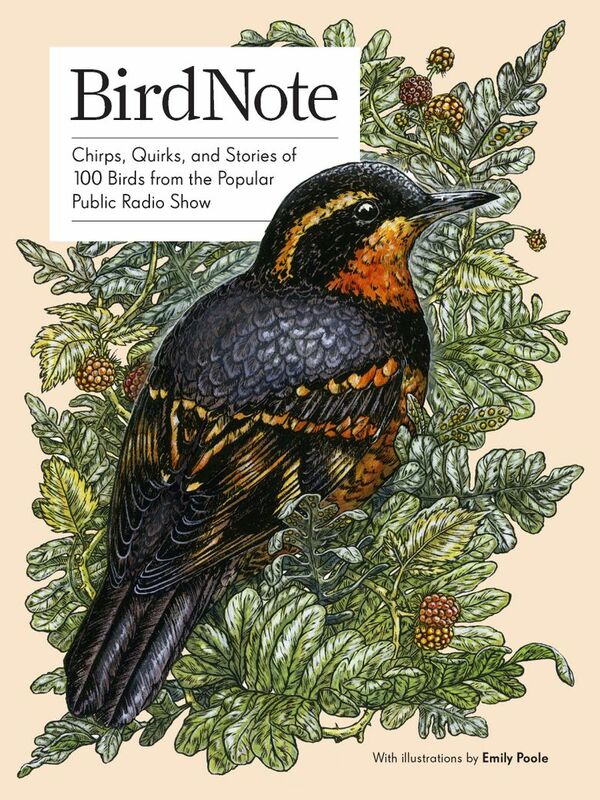 Newly published by Seattle-based Sasquatch Books: a collection of 100 essays from the popular “BirdNote” public-radio program. Along with 100 essays from the program that originated in Seattle, the book includes delightful illustrations. If, like my wife and me, you make sure you’re tuned into KNKX radio every morning at 6:30 to hear the cheery oboe intro to the daily “BirdNote” program, here’s a new book for you: a sweet little hardcover companion to the popular radio snippet that was born in Seattle and is now broadcast daily to an estimated audience of 1.3 million on more than 200 public-radio stations across the continent. The radio show, founded in 2004 by Chris Peterson, then executive director of Seattle Audubon, offers a daily 2 minutes of fascinating little facts about birds, usually spotlighting one type each day, tapping into Cornell University’s archive of bird sounds. Here, you don’t get the bird calls but you do get 100 of the show’s engaging essays. Bonus: You get to see the birds, through lovely artwork by Eugene, Ore.-based illustrator Emily Poole. Plus, you get time to really ruminate over why a nuthatch is called a nuthatch (maybe it has to do with what they eat and how); why gulls have a red spot on their yellow bills (it’s not ketchup); and what steps are involved in the sandhill crane’s intricate mating dance. COMING EVENT: “BirdNote” fans may want to attend an April 26 podcast taping hosted by Town Hall Seattle. “BirdNote Live!” is billed as “an evening of conversation by, for and about birds.” Details here.